Статтю присвячено розгляду модальної характеристики одного з мовних типів – «роздум». У статті обґрунтовується можливість проводити поділ мовних типів, ґрунтуючись на модальній характеристиці пропозиції. При цьому, у науковому тексті можна враховувати тільки два типи мовлення – опис і роздум, – оскільки розповідь в основному пов'язана з біографічними фактами, ходом особистих експериментів, відомостями з історії науки тощо. До того ж опис і розповідь можна розуміти як єдиний феномен із синхронічною та діахронічною віднесеністю до зображеної дійсності відповідно. При такому підході можна вважати, що роздум завжди модально забарвлений, а опис модально нейтральний, тобто роздум являє собою сильний маркований член опозиції, а опис – слабкий немаркований. У статті також відзначається можливість використовувати розглянутий матеріал при навчанні іноземців нерідної мови. Keywords: speech type, speculation, description, narration, modality, marked element. Background: The article is devoted to the consideration of the modal characteristics of one of the speech types known as the speculation. There is a lack of clear linguistic criteria for distinguishing speech types in the scientific text in the literature. Existing attempts to characterize speech types functionally and grammatically, i.e. through the description of speech types using syntactic structures, are inconclusive, since such structures are widely represented in different speech types. Purpose: Thus, the purpose of the article is to substantiate the possibility to carry out the separation of speech types, based on the modal characteristics of the sentence. Results: The results of the research show that only two types of speech — description and reasoning — can be taken into account in a scientific text, because the narrative is more related to biographical facts, the course of personal experiments, information from the history of science, etc. With this approach, we can assume that the speculation (argument) is always modally colored, and the description is modally neutral, i.e. the speculation is a strong marked member of the opposition, and the description is a weak unmarked one. It is argued that, unlike the description, speculation will always include a characteristic of truth / untruth, authenticity / unreliability of knowledge. Conclusions: The article under consideration comes to the conclusion about certain means of expressing modality. Among them there is a large group of markers that are usually present in the speculation: a) modal verbs with infinitives, first person narration, introductory words and phrases, question-answer complex; b) introductory words, references and references, conjunctions and particles; c) sentences with verbs in the imperative mood, emphatic constructions, exclamatory sentences, modal-evaluative constructions, headings in the form of a rhetorical question. It is also noted that it is possible to use the considered material when teaching second language to foreigners, including Ukrainian and Russian as Second Languages. Olena Shtylenko is an assistant professor at the chair of philology and linguodidactics (Kharkiv National Automobile and Highway University). Her area of research includes the issues on general linguistics and stylistics as well as the methodological problems of teaching Ukrainian and Russian languages as foreign to international students who come to get language training at the preparatory departments of Ukrainian higher educational establishments. Ключові слова: тип мовлення, роздум, опис, розповідь, модальність, маркований елемент. Despite the fact that the purposeful study of speech types (description, narration, speculation) has been conducted since 1970s, there are still no clear linguistic criteria for their distinguishing in the scientific text. According to some references, there is no consensus either on the number of speech types or on their linguistic traits. Indicative in this sense is the presence of a large number of terms used in research papers to name this phenomenon: speech types, ways of presentation, functional-semantic types of speech, forms of expressing thoughts, logical units, communicative speech registers, speech modes and others. As for the «internal» division of speech types, in this case there is an infinite number of variations. For example, G. A. Zolotova includes to the communicative speech patterns, or registers, the following types: descriptive-narrative, descriptive-descriptive, informative-narrative, informative-descriptive, informative-logical, evaluative-qualifying, generalizing-logical (Zolotova, 1982 ). In addition, each speech type may have different contents. For example, the following types of speculative texts are distinguished: 1) substantiation, 2) proving (refutation), 3) inference, 4) explanation (statement) (Yakubova 140). It seems that there is no limit to such fragmentation. More substantial study of the styles and literature genres will undoubtedly make it possible to distinguish some other speech types, specific to each style and genre. Moreover, all attempts to characterize speech types functionally grammatically, i.e. through the description of speech types using syntactic structures (e.g. Motina) seem unsuccessful. There are many confusing moments in this field. For example, the phrase «Metals are plastic» by E. I. Motina should be referred to the description. And if we say, «After all, metals are plastic», «Of course, metals are plastic», or «Metals are plastic. Therefore, they are widely used for the manufacture of various products by stamping». So the question arises, whether this is also a description or, after all, a speculation. The models of such structures given by the authors can be easily found in different types of texts, although there are syntactic constructions that have a «rigid», or strong attachment to a specific type of speech. We believe that the principles of the sentence analysis used by the authors, mentioned above, cannot always be applied to the entire text. It is more appropriate, in our opinion, to carry out the division of speech types, based on the modal characteristic of the sentence, which, so to say, «stratifies» the structural pattern of the sentence and creates a specific coloring of the speech type easily perceived by the native speaker. Since this approach has not yet received sufficient coverage in the linguistic literature of the relevant direction, the goal of the article under consideration is an attempt to justify the fundamental possibility of distinguishing speech types based on the modal meaning of the sentence. At the same time, we will focus on the speech type of speculation, in which the signs of a special modality are most clearly expressed. The main task of the analysis is to identify the features of the modal qualification of the speculation as a speech type as well as the linguistic means of its expression. We consider it expedient to remain at the same time within the framework of the traditionally distinguished three types of speech, namely, description, narration and speculation. But mention should be made that we do not consider the description and narration to be fundamentally different speech types. The closeness of description and narration has been repeatedly noted in various studies. For example, V.I. Svintsov, who researches the structure of the text from the logical point of view, notes that «... with this approach, the descriptive and narrative types of text, in fact, are extremely close. The difference between description and narration is, actually, determined by the synchronic and diachronic aspects of the displayed fragments of reality, respectively» (Svitsov, 1979, p. 140-141). In addition, the division of descriptive texts into description and narration is, of course, not excluded, but among description, narration and speculation any kind of division must be performed on more than one basic principle (See, for example, Vannikov, 1984, pp. 24-25). So, as it can be seen from above, only two types of speech — description (both static and dynamic) as well as speculation — can be taken into account in a scientific text, because the narrative is more related to biographical facts, the course of personal experiments, certain information related to the history of science, etc. In this case, the speculation as a type of speech is defined in a common sense, including proof, inference, controversy, refutation, explanation, etc. A modal meaning can be expressed in the language by a variety of grammatical, lexical, and intonational means. Since the communicative purposefulness of speech types is different, then the means of expressing modality involved in the formation of speech types will also differ. Thus, depending on the presence (or absence) of certain linguistic means expressing the modal meaning in the sentence, it is possible to conclude that the sentence belongs either to the description or the speculation type. Thus, we can assume that the speculation always has modal coloring, and the description is modally neutral, i.e. the former is a strong marked unit of the opposition, and the latter is a weak unmarked one. We offer to consider the reasons for the special modal qualification of the speculation speech type, given its extra-linguistic nature. Speculating in general (as well as other types of mental activities) can be defined as a mental analysis of the arguments with the aim of proving one view or another and stating one’s point of view in a logically consistent form. «In brief, speculation is the transition from premises to conclusion» (Kondakov 513). At the same time, as rightfully noted in scientific papers, «inference in its full form is relatively rare in speech, even in science» (Solganik 39-40). The transition from the background to the consequence is the main semantic connection underlying the construction of various substantiations and conclusions, the main purpose of which is to give true, reliable knowledge. Such a connection is made in the language by various means (connectors and modifiers like thereafter, it means, therefore, thus, in this connection, on the basis, thereby, as a result, etc.). So, many other researchers quite legitimately include cause-and-effect constructions in their speculation, trying to find the syllogism at the base of each such construct. However, using the syllogistic apparatus of traditional formal logic, one can prove either the truth of the statement or its falsity. However, this does not annihilate the possibility of other, intermediate, characteristics of a statement, since «between to be and not to be, it turns out, there is an infinite number of different shades, confidence in being or uncertainty in it, susceptibility, expectation, various assumptions, either unreasonable, or justified by various hidden possibilities, as yet not manifested being, etc». (Losev 141). In addition, there are many non-syllogical conclusions, which once again prove the impossibility of reducing all the richness of forms of thinking to Aristotle’s classical syllogism. In the epistemological activity of human beings, probabilistic knowledge plays a huge role. According to it, statements are studied as those which «take not only two values of truth (true / false), but also many intermediate degrees of probability, such as statements, the true meanings of which are enclosed in the gap between truth and falsehood» (Kondakov 82). V.I. Svintsov believes that the generic concept of “argumentation” covers all methods of proving and justification. «The first involves the use of reliable arguments, from which the thesis follows with necessity. The second is based on the use of probable assumptions and / or probabilistic inference schemes» (Svintsov 212). At the same time, in the latter, the modal characteristics of both the premises and the conclusion can be expressed by the «graded modal characteristic», i.e. such expressions as probably, very likely, unlikely, plausible, less believable, more plausible, etc. (ibid., 213, 215). Let us cite the point of view by V.I. Svintsov, which we also share, that it is possible, of course, to convince the reader of the accuracy of the information, not only by logical reasoning (Ibid., 203). There are other motives for the emergence of belief. «As such motives, various criteria can be singled out: the correspondence of the evaluated information to other messages about the same event (fact), the reliability of the source of information (as applied to a specific informant, assessment of its readiness and integrity), reliability of the procedure for obtaining it, conditions of storage and transmission, social authority of the author or publisher, etc.». ( Ibid., 210). Under these conditions, what would be the difference between description and speculation / argumentation? After all, the speculation – a strong, marked unit of the opposition will always include a certain characteristic of truth / untruth of any kind, authenticity / unreliability of knowledge. A description, however, will not have such a characteristic, since «the very fact of the existence of descriptive and narrative texts implies the fundamental possibility of such a connection between separate elements of textual structures, which does not include proving processes. These elements can join each other on the basis of affirmation (information believed by the author and potentially accepted by the addressee) of their coherence» (Ibid., 205-206). All of the above presents the logical aspect of the problem. In addition, the division of speech patterns into modally colored and modally neutral goes back, in our opinion, to dialogical thinking, in general. It is no wonder that in philosophical works the focus of attention has been on the problems of dialogue (postmodern concepts), which was previously considered as the basis of creative thinking (see, for example, Bibler). In his work, the author expresses confidence that the crucial role of the logic of dialogue in the development of creative thinking is unquestionable. In this connection, the issue of studying the nature of not only monologue but also dialogue per se, which leads to the study of the dialogical phenomenon (dialogization), i.e «The manifestation of a number of signs of dialogue in the written scientific texts» (Kozhina 23). As the research shows, there have been two ways of understanding this problem. Some researchers (for example, Slavgorodskaya, 1979) believe that in the written scientific literature only certain elements of the dialogue, used for stylistic purposes, can function. Others (for example, Kozhina, 1981) consider this phenomenon to be a natural property of the language, a consequence of the dialogical thinking in general. «The complete disappearance of dialogism from the written language – even the monologue in its outer characteristics – is obviously impossible at all (especially in the scientific sphere of communication), because in this property of speech the social nature of a language (its communicative function) is revealed» (Kozhina 25). What caused the phenomenon of dialogue in the seemingly monologue scientific speech? What are the origins of dialogue in general? It can be assumed that the source of the development of monologue speech in speculation is the internal contradiction («dialogue») between the author and his opponent. In this case, the opponent may, of course, be both a particular scientist, the point of view of any group of people, the author himself who opposes his own ideas, and finally, it may be the reader to whom the author constantly calls, proving something, arguing, mentally talking, logically or emotionally convincing in the rightness of the ideas stated. In a scientific speech, «when introducing new knowledge and to facilitate its perception, the author builds his message based on the addressee’s reaction. Hence, there is an abundance of question-answer complexes, more or less detailed explanations, clarifications, and returns to topics which already seem to have been discussed before. The proving of a theorem or a scientific hypothesis is related to its refutations of both real and potential opponents. It is always aimed at the addressee, at eliminating his objections, doubts, his misunderstanding. At the same time, the scientific text, being the final result of the inner dialogue of a scientist, and directed to an imaginary opponent, has linguistic means of its own, reflecting this internalized dialogue and this orientation to the reader» (Krasavtseva 128). The material studied by N.A. Krasavtseva (scientific texts on medicine, mathematics and physics written in English) made it possible to single out the most frequent means and ways of expressing dialogue. These include: a) in research papers and articles – modal verbs with infinitives, first-person narrative, introductory words and phrases, question-answer complex; b) in reviews and abstracts – introductory words, links and references, conjunctions and particles. In addition, the author refers to the means of the dialogue in the imperative statement, emphatic constructions, exclamatory sentences, modal-evaluative constructions, titles in the form of a rhetorical question (Ibid., 129). All these characteristics to some extent will be inherent in the speculation speech type and are directly related to the category of modality. The considered material may have a practical usage, for example, when teaching foreigners to communicate in their second language (for example, USL / RSL). This is especially true in connection with the active introduction of problem-based learning at universities. «Problem in teaching and learning is a powerful stimulus for the development and formation of all the components necessary from the point of view of the methodological level of the educational paradigm of such a construct as the personality of a student - a future specialist» (Ushakova 117-118). Based on the linguistic data obtained, it becomes obvious that when teaching international students it must be borne in mind that descriptive texts present a certain difficulty both for creation and for perception. It is very difficult to “sustain” the text within the framework of one modality («modality of actual reality»), since this is the least natural type of text. This, however, does not mean that descriptive texts should be avoided in the beginning of learning written scientific speech. It is just that their number should be redistributed in favor of other types of text and, in particular, texts of speculation speech type. After stating above all the theoretical suggestions, we believe that the scope of the necessary skills in generating written scientific speech should include the ability to express various intentions included in the concept of speculation / argumentation. These include a wide range of means to express opinion, agreement, disagreement, refutation, giving examples, explanation, proof, doubt, suggestion, clarification, assessment of reliability, synthesis, conclusion. This list can be updated and supplemented depending on the specific objectives of the learning process. In addition, serious attention should be paid to the means of expressing the semantic relations contained in the intentions. So, the cause-effect relationship of meaning can have the following linkers: for this reason, due to this, it means, in this case, nevertheless, etc. And the semantic relations between conclusion and generalization are presented, for example, by such connectors: thus, as a result, so generally speaking, in short. Unfortunately, in the existing practice of teaching scientific speech to international students little attention is paid to text-forming elements, which ensure the harmony, clarity, and consistency of presentation. In general, this direction of studies requires further research both in theoretical and in methodological aspects. In future, the approach, offered by the author of this article, will remain relevant to the analysis of the features in the modal sphere of speculation texts in various kinds of scientific papers, textbooks, polemical materials etc. Summarizing, we note that the dependence of the modal qualification of the speech type known as speculation on the above extra-linguistic factors once again confirms the idea actively expressed in recent years about the anthropocentric structure of the language. Bibler Vasiliy. Myshleniye kak tvorchestvo: Vvedeniye v logiku myslennogo dialoga (Thinking as creativity: An introduction to the logic of mental dialogue) Moscow: Politizdat, 1975. Print. Kozhina Maria. Formy dialogichnosti v nauchnykh tekstakh XVIII veka (sravnitel'no s sovremennymi) (Forms of dialogue in scientific texts of the XVIII century (compared with modern ones)). Problemy funktsionirovaniya yazyka v yego raznovidnostyakh (Problems of the functioning of language in its varieties) Perm', 1981. Print. Krasavtseva Nadyezhda. O sredstvakh vyrazheniya dialogichnosti v angliyskikh nauchnykh tekstakh (On the means of expressing dialogic in English scientific texts). Psikhologo-pedagogicheskiye i lingvisticheskiye problemy issledovaniya teksta: Tez. dokl. 26-29 iyunya 1984 g.( Psychological, pedagogical and linguistic problems of the study of the text: Proc. report June 26-29, 1984) Perm', 1984. Print. Losev Aleksandr. Znak. Simvol. Mif (Sign. Symbol. Myth) Moscow: Izd-vo Mosk.un-ta, 1982. Print. Zolotova Galina. Kommunikativnyie aspekty russkogo sintaksisa (Communicative aspects of Russian syntax). Moscow: Nauka, 1982. Print. Motina Yekaterina. Yazyk i spetsial'nost': lingvometodicheskiye osnovy obucheniya russkomu yazyku studentov-nefilologov (Language and specialty: linguistic and methodological foundations of teaching Russian to non-philologist students). Moscow: Rus.yaz., 1983.Print. Vannikov Yuri. Tipy nauchnykh i tekhnicheskikh tekstov i ikh lingvisticheskiye osobennosti. Metodicheskoye posobiye (Types of scientific and technical texts and their linguistic features. Methodical manual). Moscow: Nauka, 1984. Print. Slavgorodskaya Lyubov’. O logiko-smyslovykh svyazyakh v nauchnom dialoge (About logical-semantic relations in the scientific dialogue). 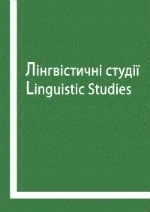 Lingvostilisticheskiye issledovaniya nauchnoy rechi (Lingual-stylistic studies of scientific speech) Moscow: Nauka,1979. Print. Solganik Georgiy. Sintaksicheskaya stilistika. Slozhnoye sintaksicheskoye tseloye (Syntactic style. Complex syntactic integerity). Moscow: Vyssh. shkola, 1973. Print. Svintsov Viktor. Smyslovoy analiz i obrabotka teksta (Content analysis and text processing) Moscow: Kniga, 1979. Print. Ushakova N.I. Uchebnik po yazyku obucheniya dlya inostrannykh studentov v rusle sovremennoy obrazovatel'noy paradigmy (Teoriya i praktika sozdaniya uchebnika po yazyku obucheniya dlya inostrannykh studentov vuzov Ukrainy) (Textbook on the language of instruction for foreign students in line with the modern educational paradigm (Theory and practice of creating a textbook on the language of instruction for foreign students of universities in Ukraine)) Khar'kiv: KhNU imeni V.N.Karazina, 2009. Print. Yakubova Natalya. O nekotorykh osobennostyakh semantiko-sintaksicheskoy organizatsii zhanra nauchnogo doklada (na materiale nauchnykh dokladov M.Planka) (To the issue of some peculiarities of semantic-syntactic organization of the genre of a scientific report (based on the material of M. Plank’s scientific reports). Nauchnaya literatura. YAzyk, stil', zhanty (Scientific literature. Language, style, genres). Moscow: Nauka, 1985. Print. Kondakov N.I. Logicheskiy slovar'-spravochnik (Logical dictionary reference). 2nd ed., Corr. and add. Moscow: Nauka, 1975. Print.